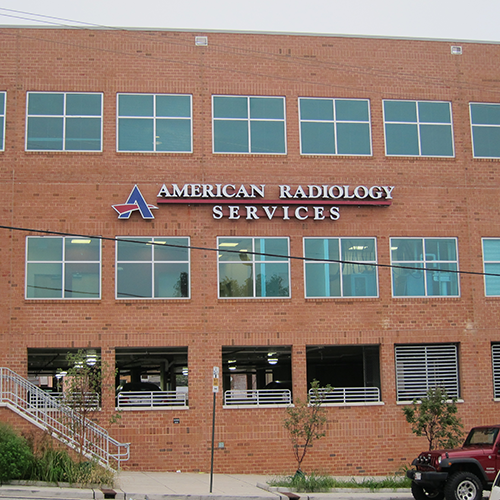 American Radiology Services | Fleet Street offers an array of imaging services including MRI (1.5T Wide Open), MRA, CT, mammography, 3D & 4D ultrasound, DEXA bone density measurement, and X-Ray. Our office is located on Fleet Street between South Dean Street and South Eaton Street across from the Royal Farms and the Pratt Center for Tech Library. Fleet Street can be reached easily by bus on the 010, 013, or 022 lines at the Eastern Avenue & Eaton Street bus stop less than two blocks away from the center’s main entrance. At American Radiology’s Fleet Street location, our combination of dedicated specialty physicians, friendly compassionate staff and cutting edge technology allow us to offer our patients only the very best in diagnosis, management, follow up and care. Contact us to find out more about our services and convenient appointment times.